The adidas I-5923 has been a popular casual silhouette since it’s release almost a year ago. 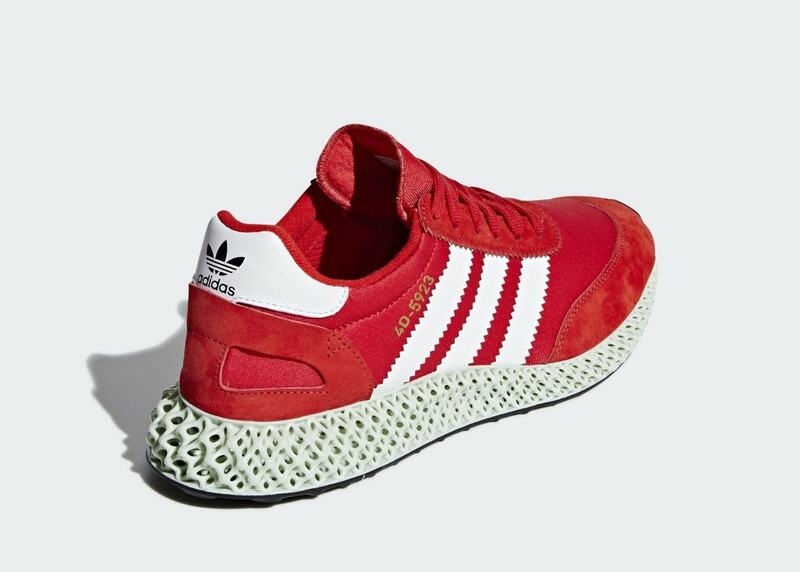 Now, for the shoe’s sophomore year, the Three Stripes is mixing the model with their signature Futurecraft 4D technology. The adidas I-5923 has had an interesting start to its career. 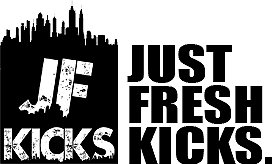 Late last year, adidas changed its name from the original “Iniki” to the current I-5923 title. 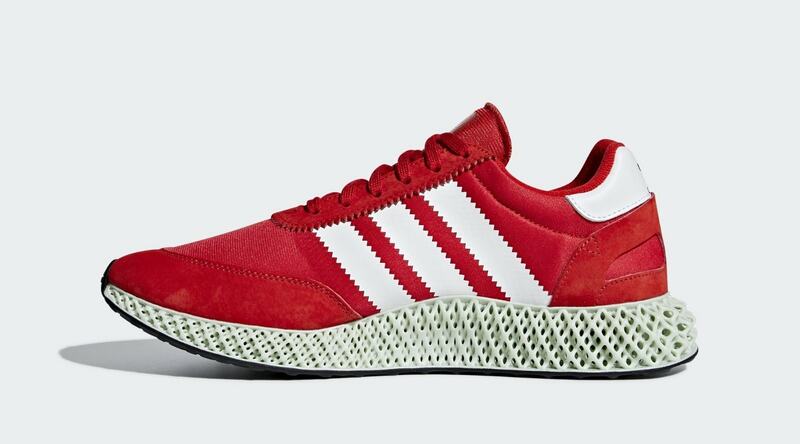 With several successful collaboration’s under its belt, it appears the Three Stripes has a new frontier in mind for the slipper-like casual shoe: Futurecraft 4D. The new sneaker will be featured as a part of adidas’ new hybrid series, which combines different elements of famous three stripes silhouettes. 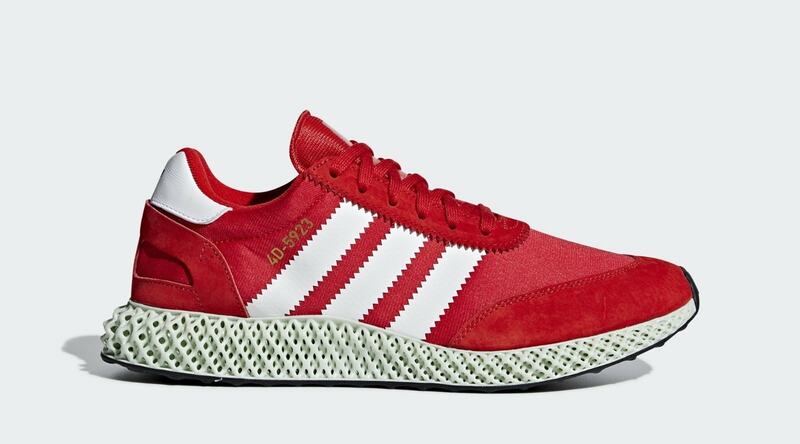 In addition to the I-5923/Futurecraft 4D mix, the series will also include mashups of the NMD and it’s original inspiration. 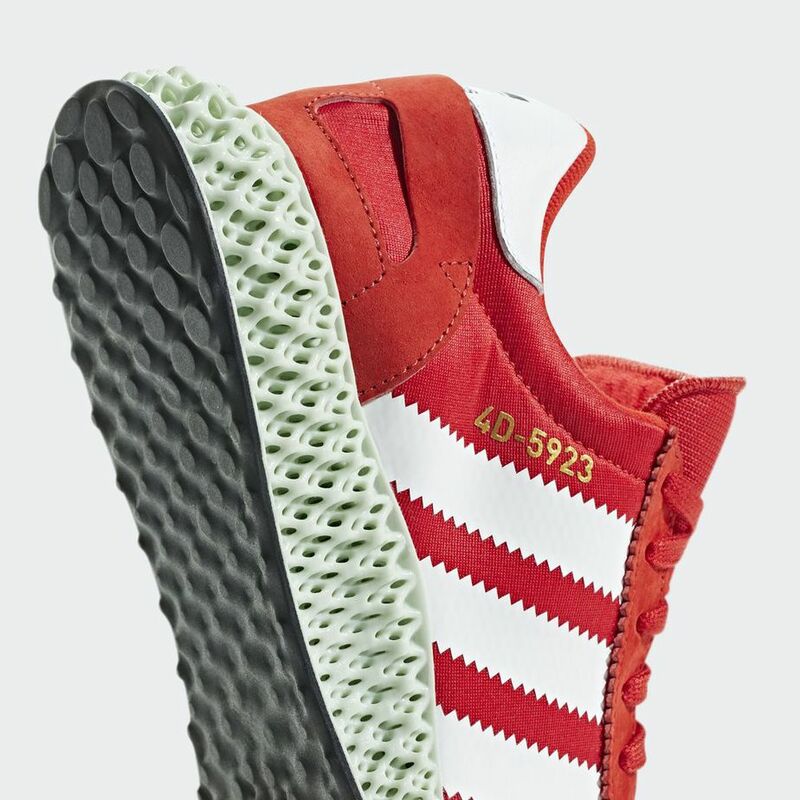 While multiple colorways of the 4D-5923 have been teased so far, the first colorway set to release will be in the I-5923’s original red color with white detailing, and a light green 4D midsole. 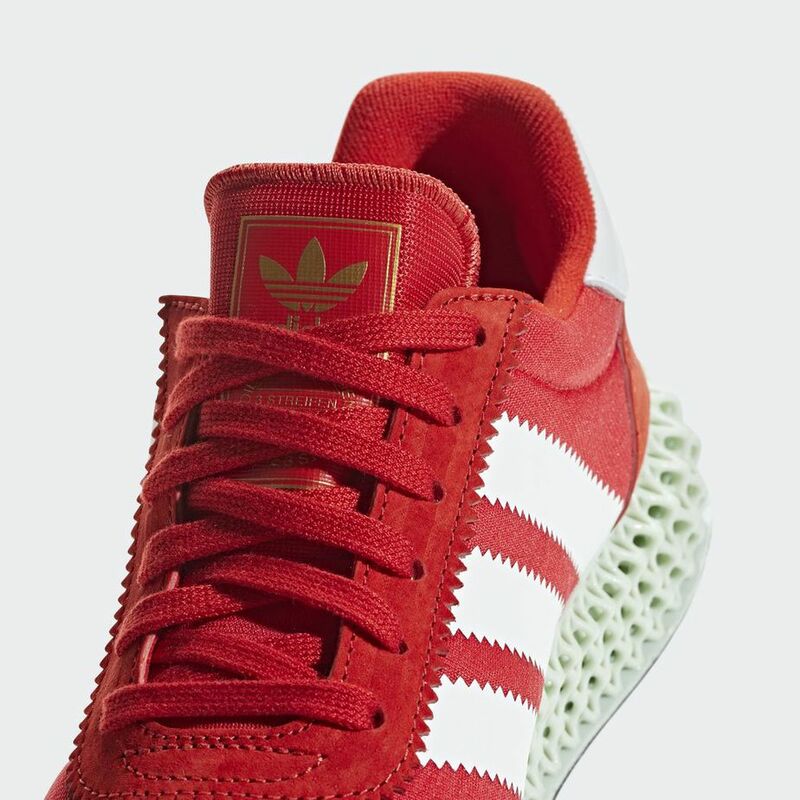 The adidas Futurecraft 4D I-5923, or 4D-5923, has not yet been given an official release date. The silhouette debuted this weekend at Hypebeast’s HypeFest, where adidas showed off their new collection of hybrid sneakers, as well as showing off a maker’s studio for the more devoted fans. 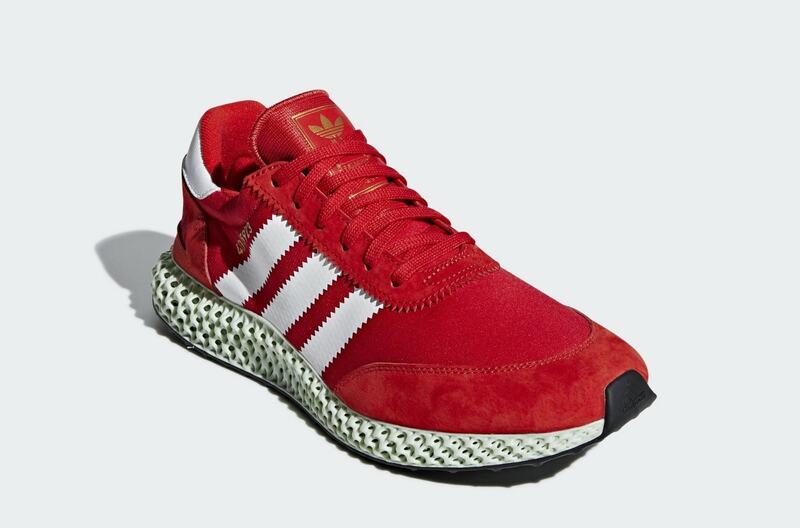 Now, the 4D-5923 mix has been loaded onto the adidas website, though without any sign of release.